Spray Foam Insulation For Flat and Cathedral Ceilings. Red River Spray-On Ltd. It is important to use the proper building techniques to manage moisture and energy performance issues. Condensation in the insulated cavity space can lead to wood rot and mould, which can compromise the durability of the roof, the efficiency of the home, and health of the homeowners. The bulk of moisture moving into any insulated cavity is driven primarily by air. The best practice for building insulated cathedral ceilings is to create an airtight roof assembly. 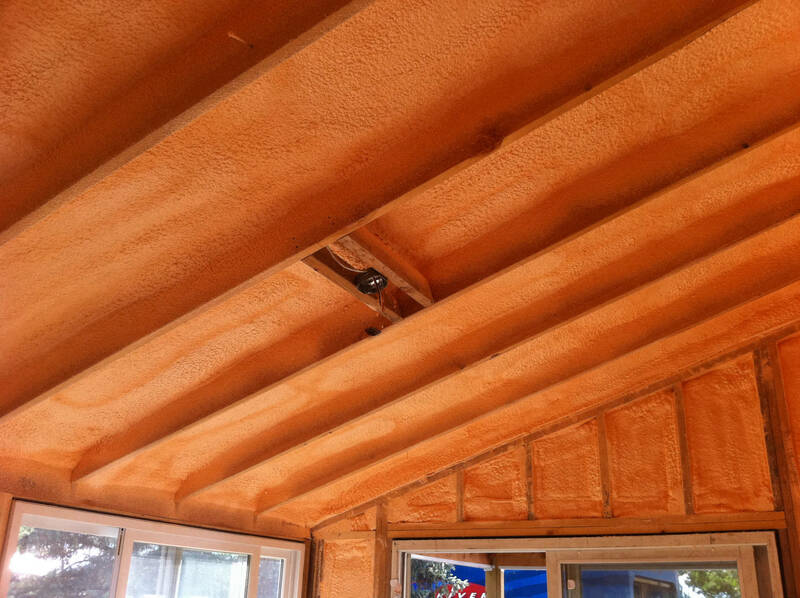 We spray closed cell spray foam insulation against the underside of the roof sheathing and making sure that the thickness is adequate to meet minimum code requirements. This insures that moisture-laden interior air can no longer penetrate and condense on the underside of the roof sheathing.